While the Deering Seafood Festival gets bigger and better each year, this year marked a major milestone. 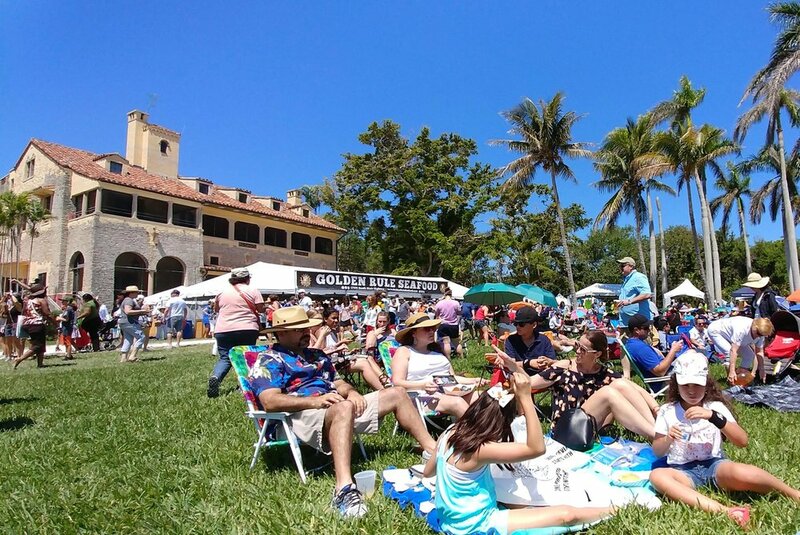 Using new attendance and crowd size software, over 9500 attendees were able to enjoy Deering Estate on what was a beautiful and temperate March 25th. “This is well beyond our wildest dreams. With nearly 300 volunteers working to keep us going all day, this was a real homerun,” said Deering Estate Foundation Executive Director Mary Pettit. This year was presented by Tom Thumb Food Stores and featured celebrity chef demonstrations all day long, where attendees could learn how to cook from the best local chefs around. Of course, there were amazing food vendors including Golden Rule Seafood (in their 13th year) and Sports Grill (a vendor for all 14 festivals). Popo’s Seafood, Tacos & Tattoos, Rodbenders Raw Bar & Grille, Catering by Les, Don Cameron, Devon Seafood + Steak, Paella Party, and Fancy Loaf (Antigua & Barbuda Association of South Florida) rounded out the food choices and desserts were served up by Gringa Flan, Chill’N Nitrogen Ice Cream and Wendy’s Chocolates. The festivals Lil’ Shrimp Discovery Kids Zone was a huge hit. That was where kids could get up close and personal with South Florida wildlife and also learn about our environment, ecology, preservation and other earthy goodness. The beer and spirits flowed and if that wasn’t enough, a traveling band called Bahamian Junkanoo Review parades around with stilt walkers and colorful music and costume. A main stage also provided great music throughout the day. The Caribbean Crew Steel Drum Band set the island theme and then Blackstar rocked out to close the festival.